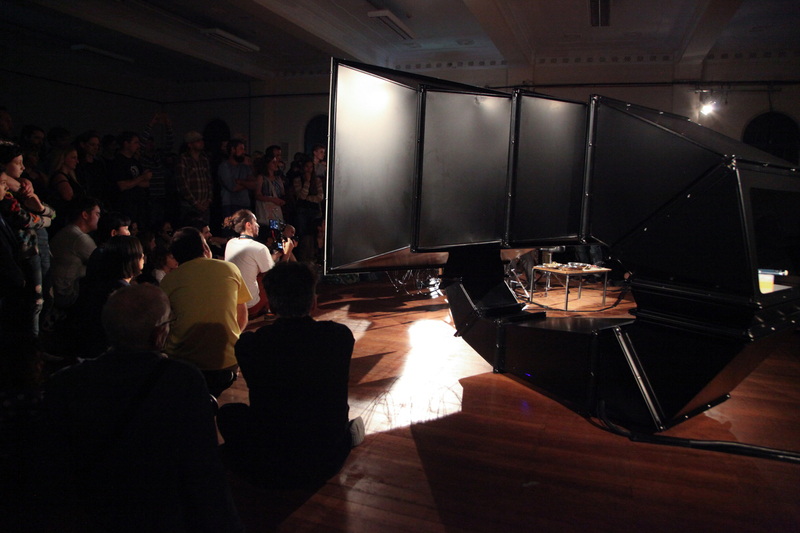 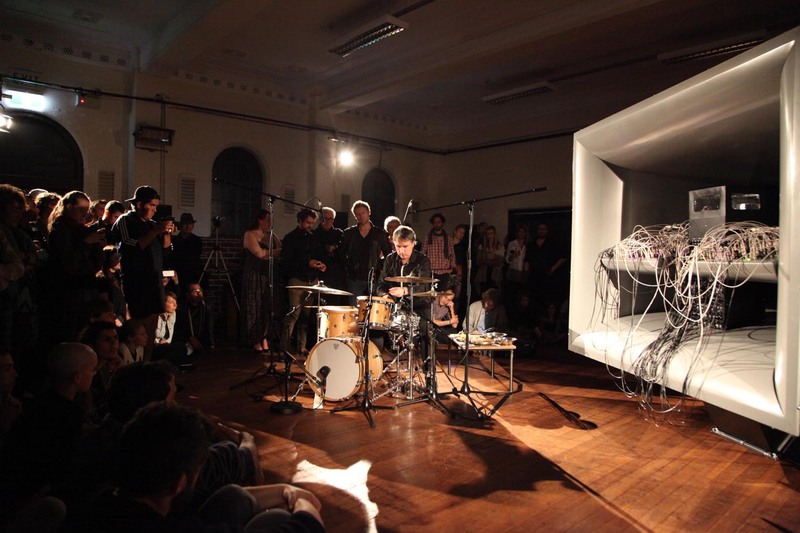 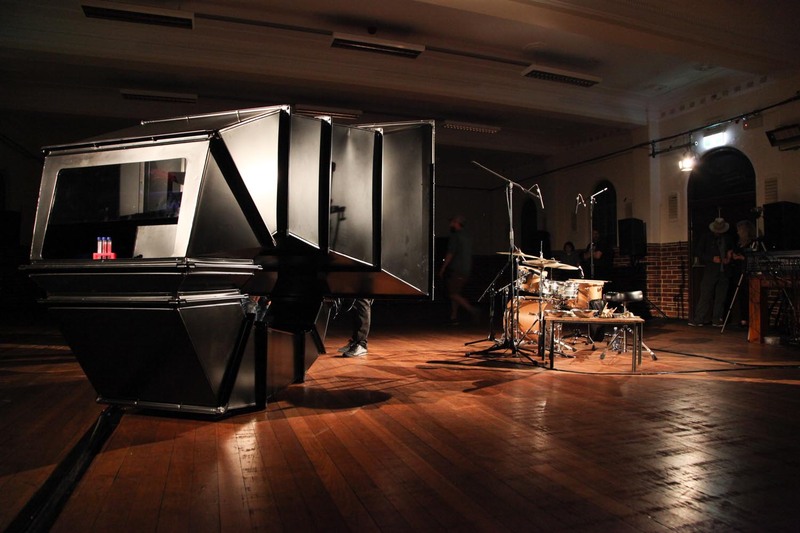 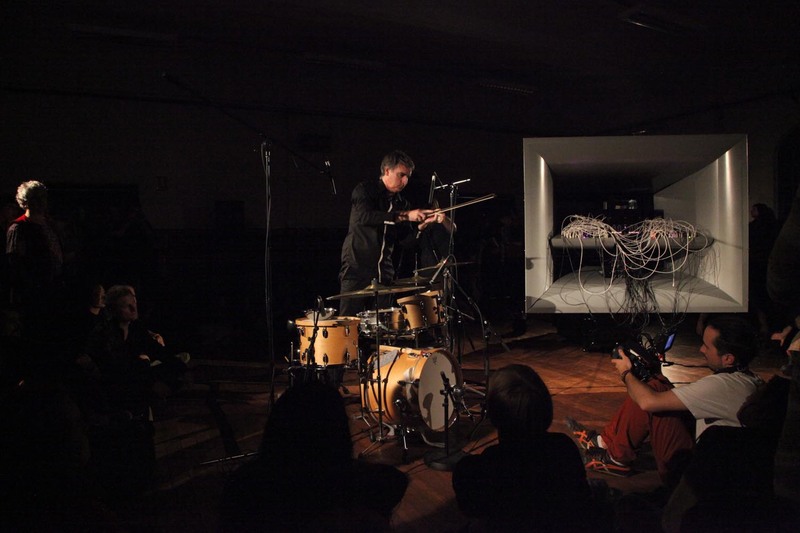 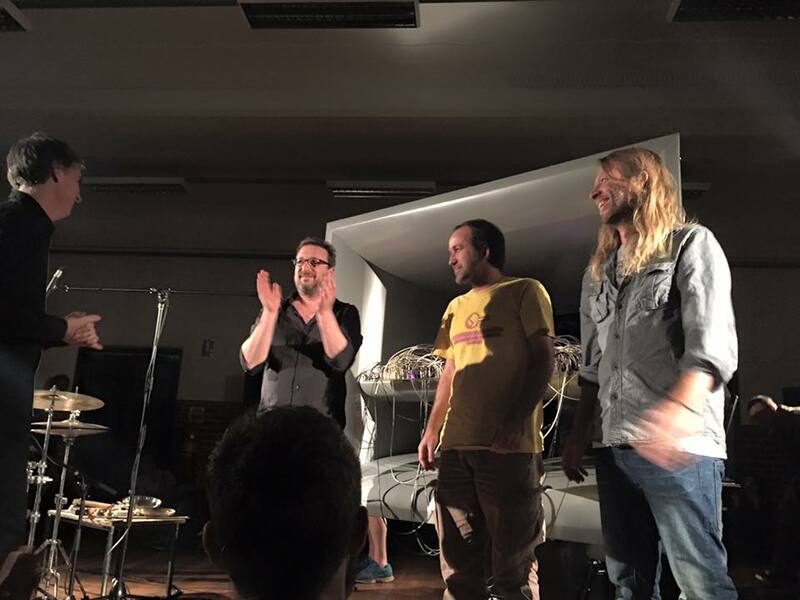 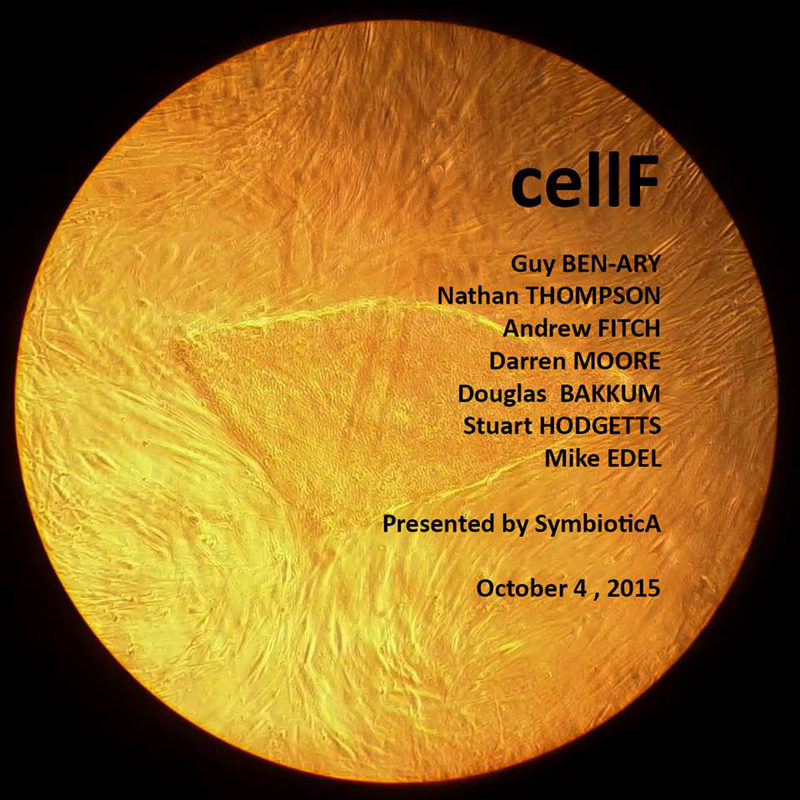 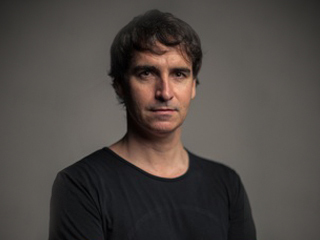 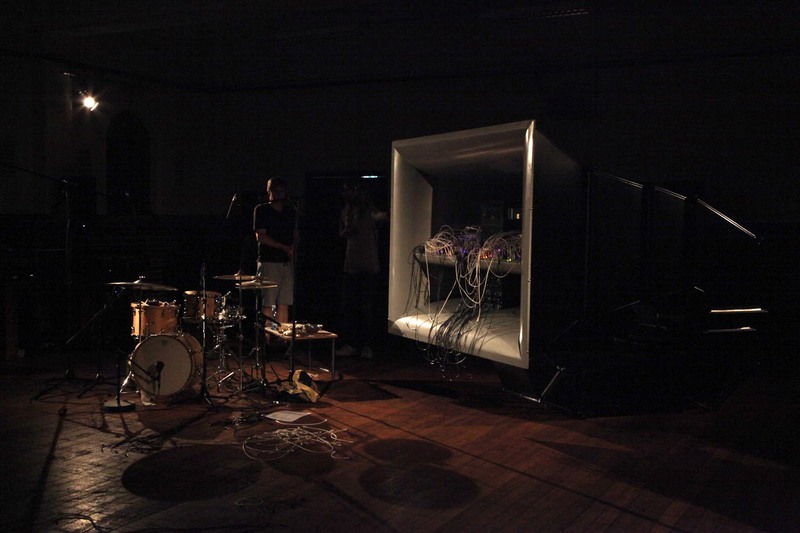 On October 4th 2015, cellF played, for the first time, at the Masonic Hall in Perth, Western Australia with Darren Moore, aTokyo-based experimental drummer and sound artist. 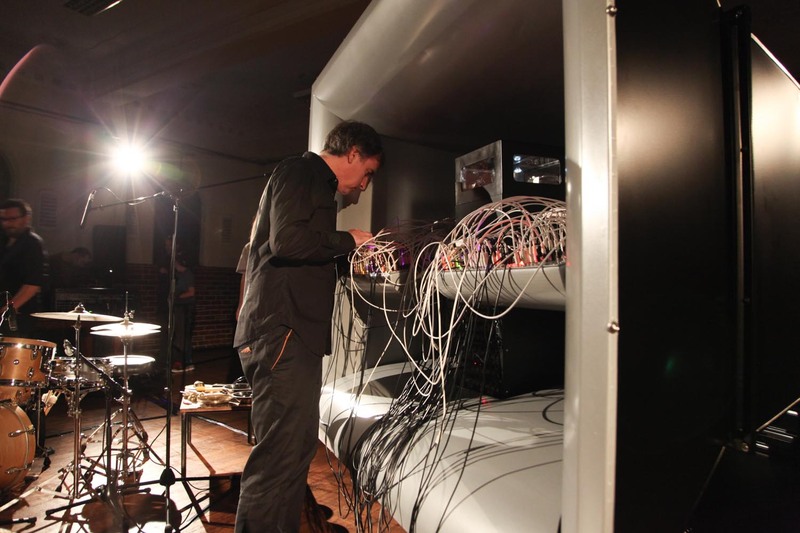 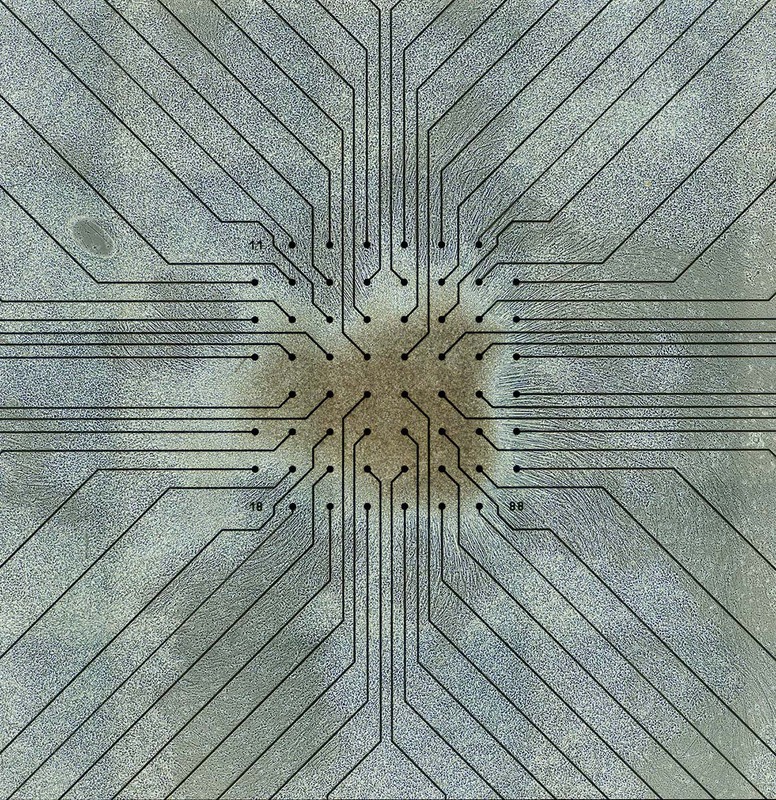 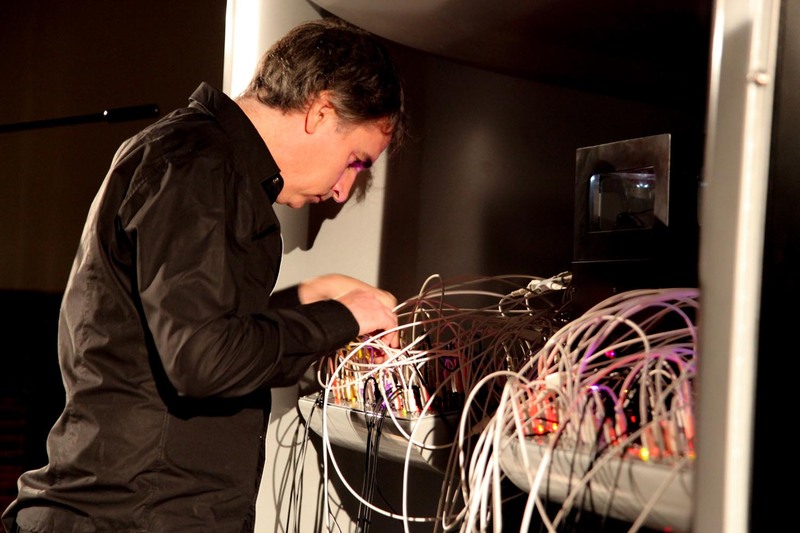 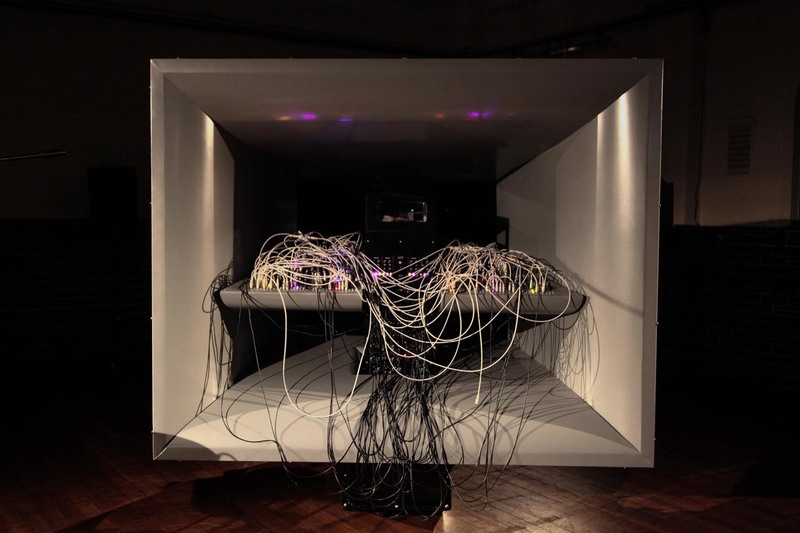 His music was fed into cellF’s neurons as electrical stimulations and the neurons responded by controlling the synthesizer, creating an improvised posthuman sound piece. 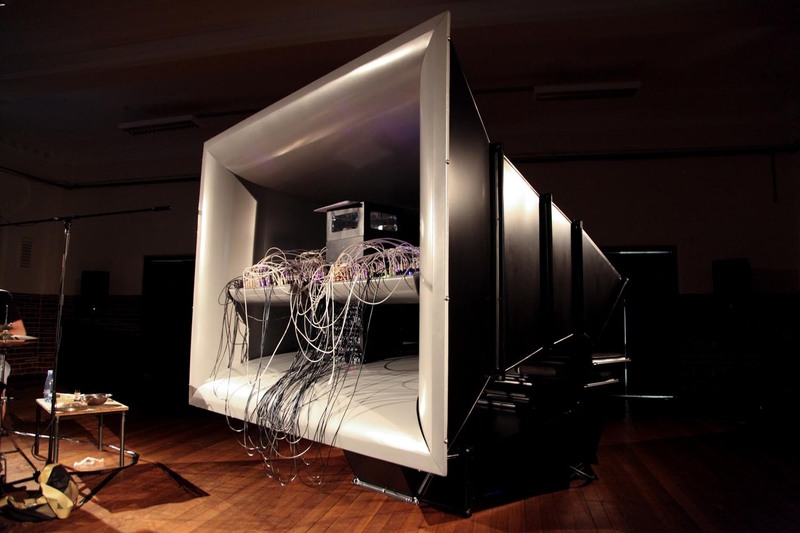 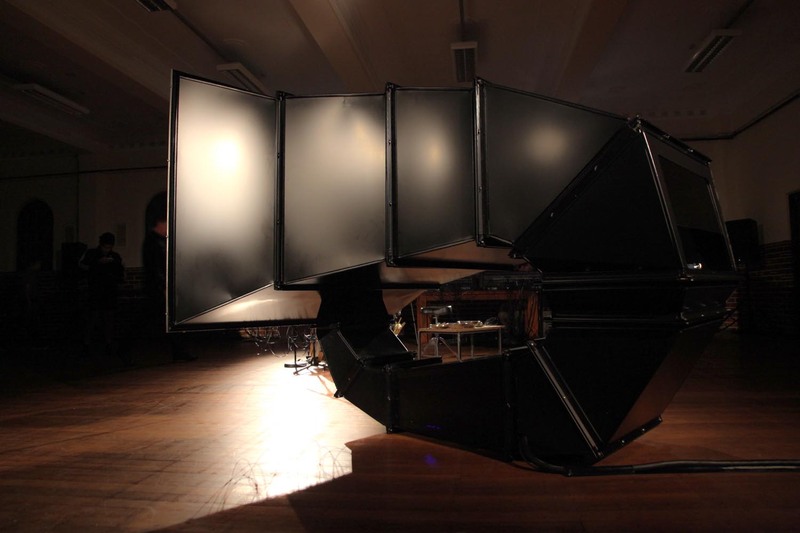 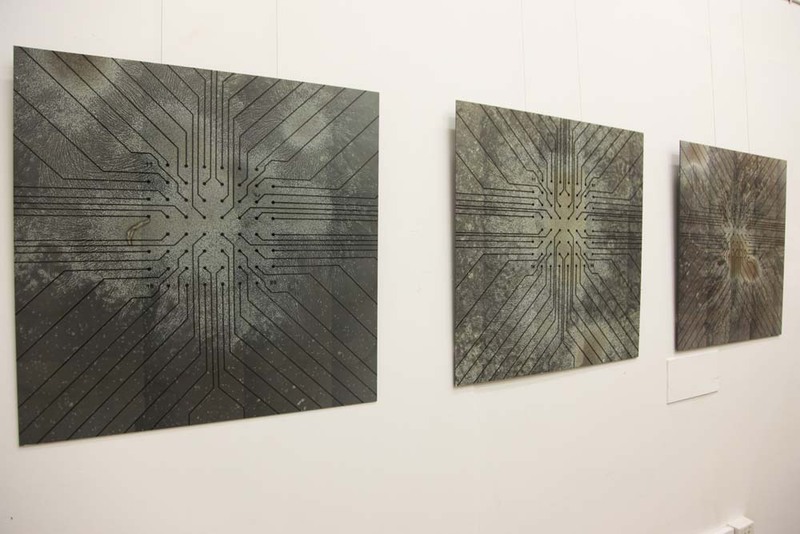 The sound of cellF was spatialized to 16 speakers to reflect the neural activity on the MEA. 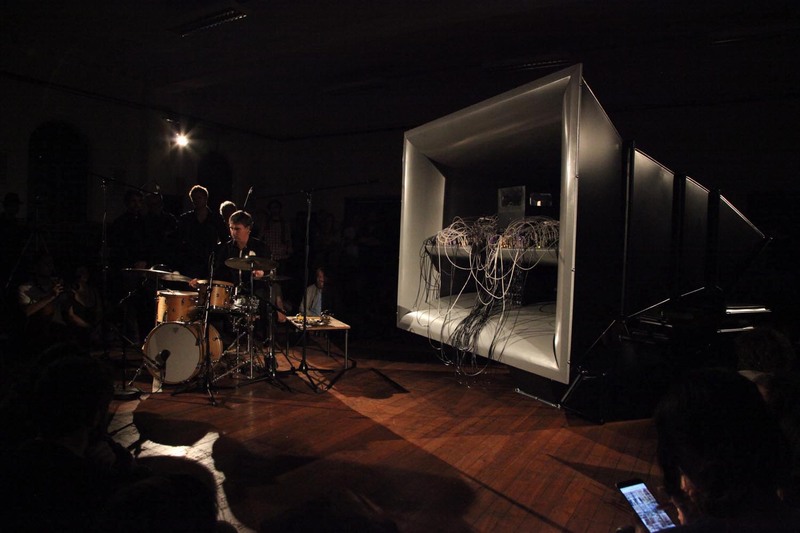 Walking in the space during the performance was like walking inside my external ‘brain’. 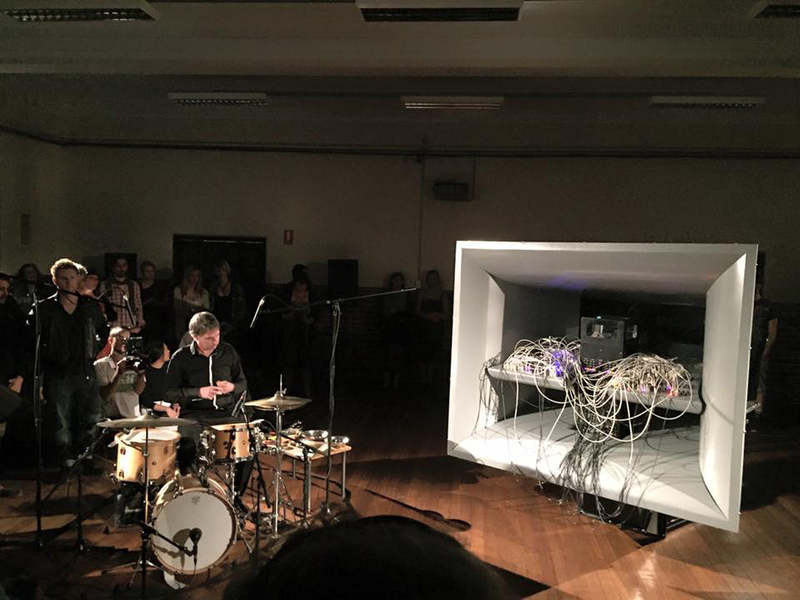 During the performance there was a clear sense of communication and responsiveness between the 2 musicians – cellF and Darren. 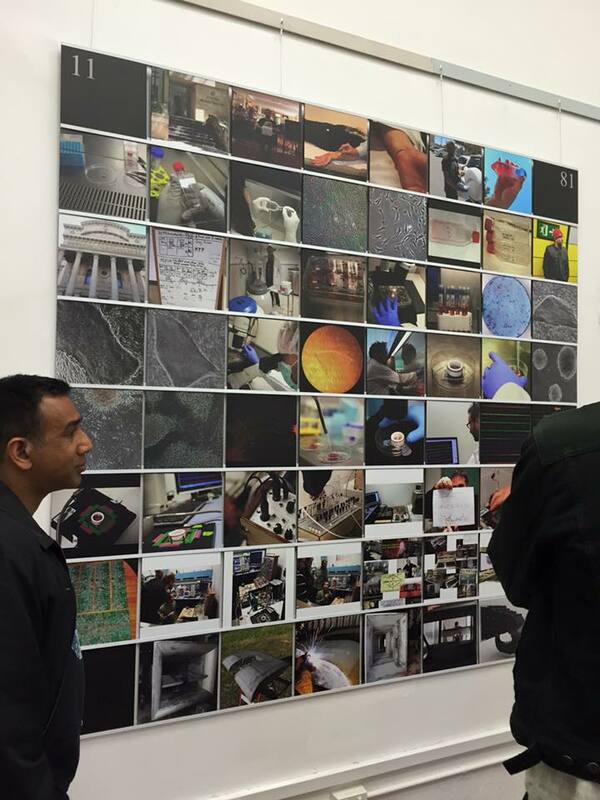 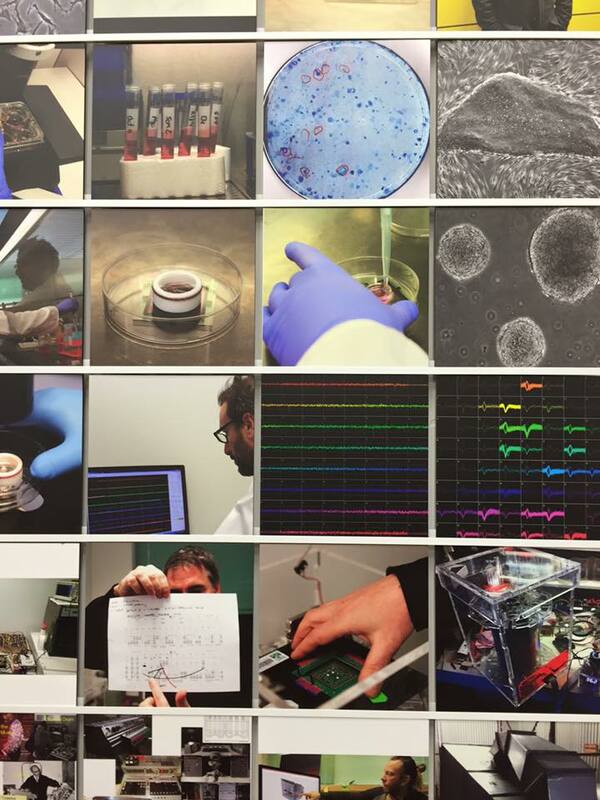 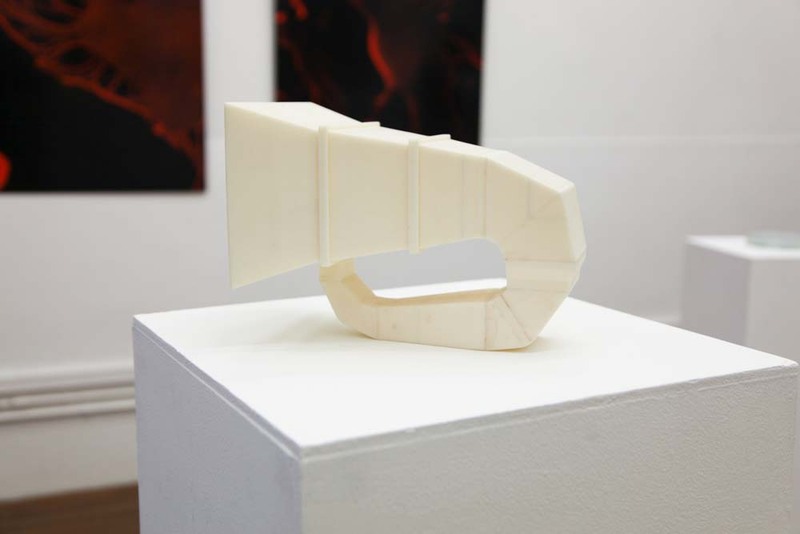 Accompanying the performance we installed an exhibition of prototypes and material that documents the four years of research and development of the project, exploring and revealing some of the processes and theory that underpins the work. 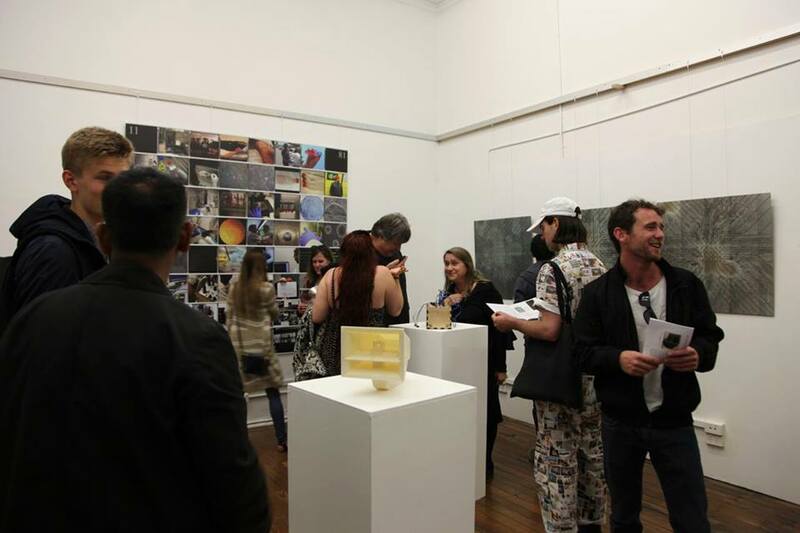 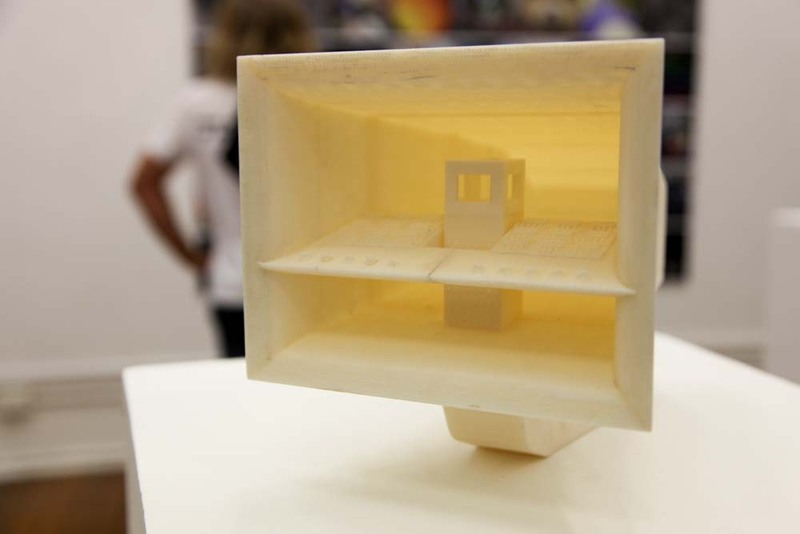 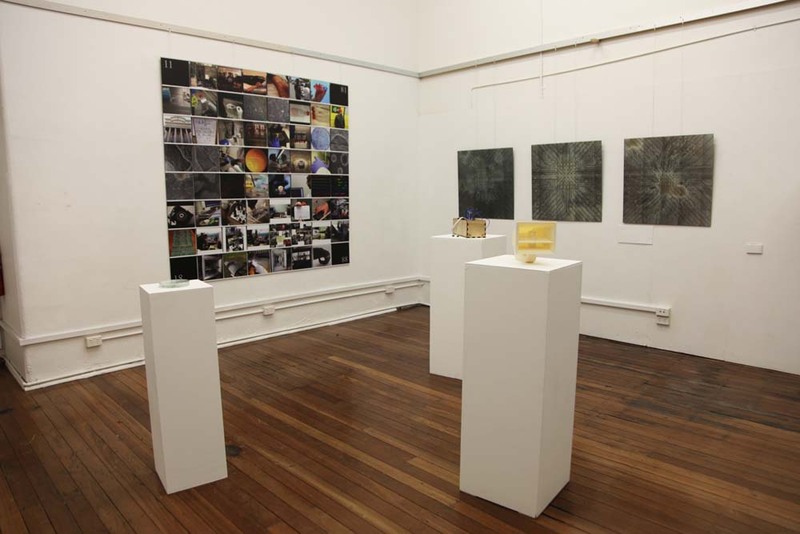 This exhibition was curated and installed by Gemma Ben-Ary. 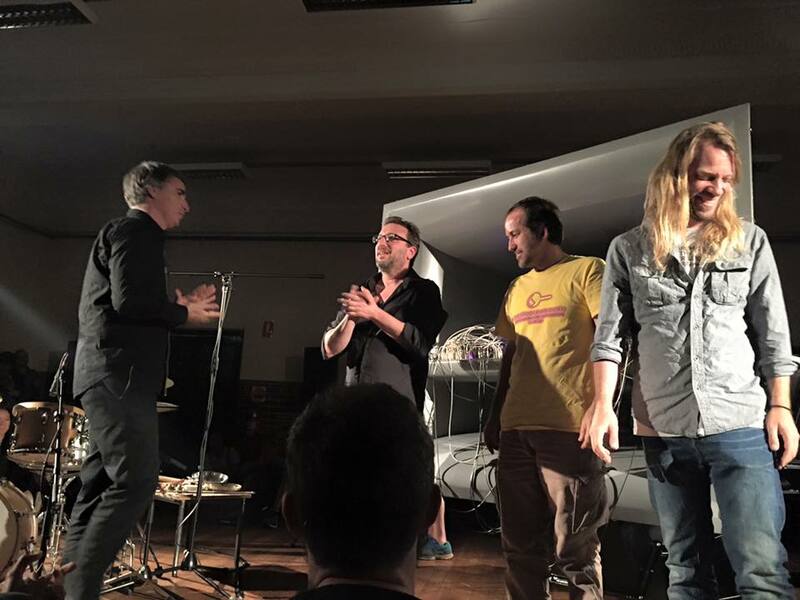 The following video is a 4.5 minute clip edited from the show. 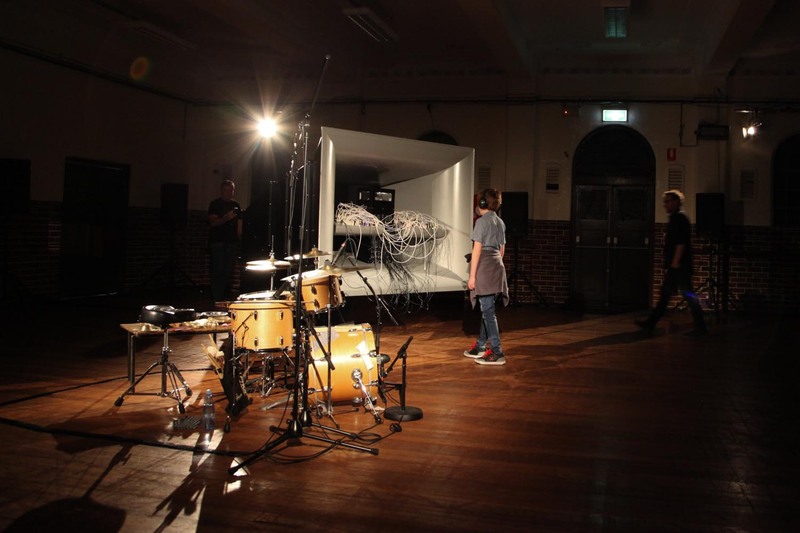 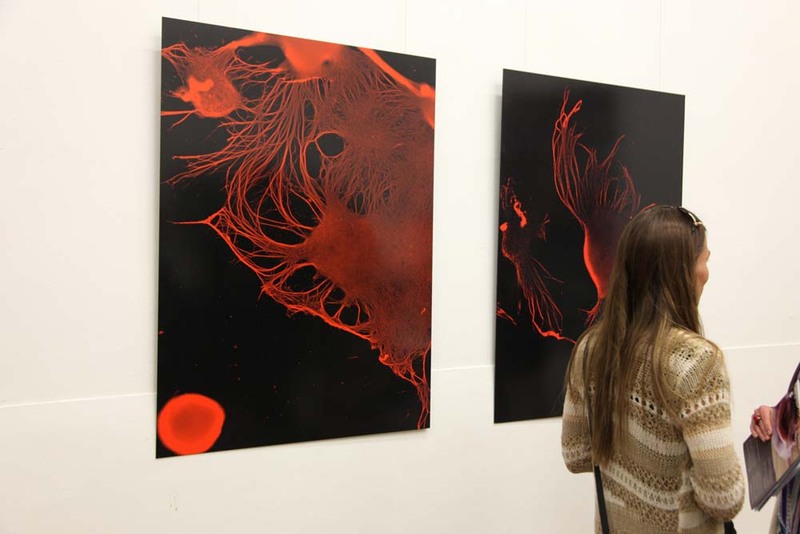 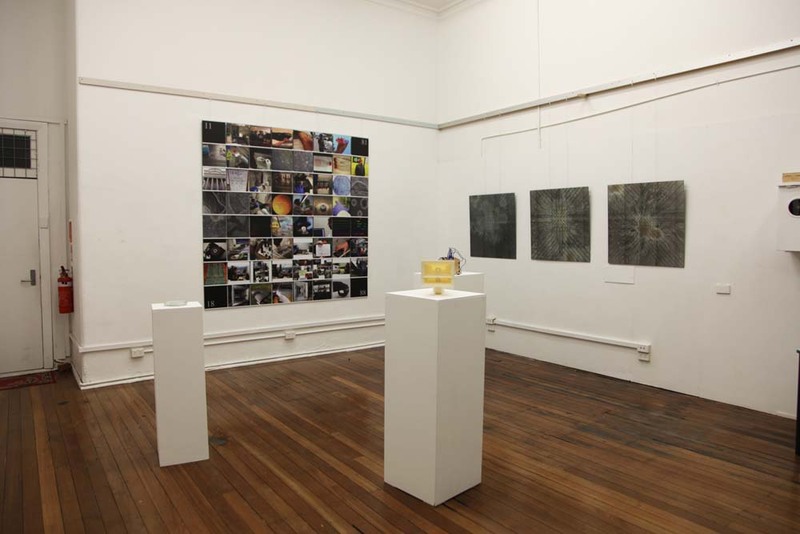 Dish P9/07 - The Neural Network that rocked the Masonic Hall in the premier of cellF.